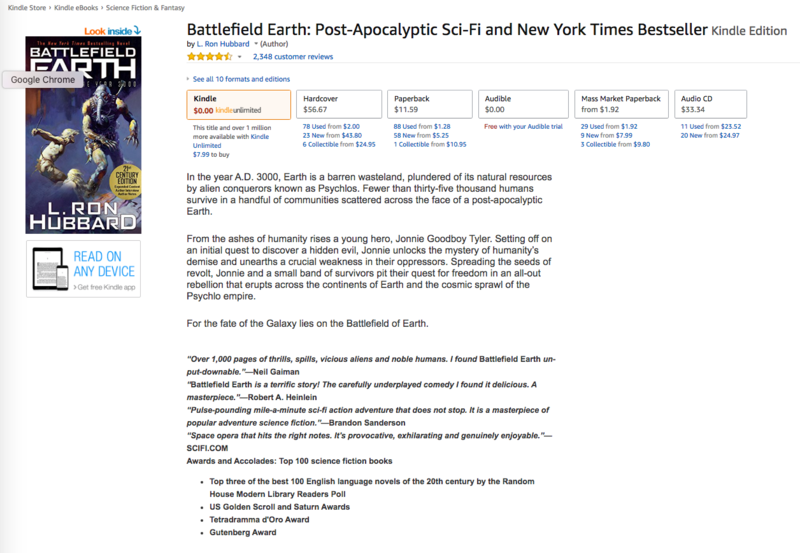 A couple of months ago, I got an email from Galaxy Press, L.Ron Hubbard’s publishing company, asking if I could help them write a book description for one of his most famous books, Battlefield Earth. Now, if you don’t know me well, I’m a HUGE sci-fi nerd and list Battlefield Earth as one of my all-time favorite books. So, needless to say, I was truly honored…and maybe geeking out a little bit. And wow! Was it ever a fun exercise to create a book description truly worthy of such a great book. And in this article, I’ll show you exactly what I did, my mistakes, and even the final product. Well, when we are writing our book descriptions, we can’t just dive right in. Instead, there are a couple of things we can do that will really help get those descriptive juices going. A. Bryan Cohen’s book How to Write a Sizzling Synopsis. This is definitely my go-to source every time I write my descriptions. B. Kindlepreneur’s guest post on Back Book Cover Blurbs, written by Kelly Exeter. I especially loved the fiction book description formula she describes, and I went to work applying it. After that you know what goes into a good book description, it’s time to gather useful data and building blocks to create a description that turns shoppers into buyers. Since I read the book back when I was 12, I knew what the book was about. However, I needed more than just my own memory. The best strategy for writing a description that makes people buy is not only knowing the book, but also finding out what people say was their favorite part of the book, and expanding on that. Reviews from all markets: This included Amazon, Barnes & Noble, Kobo and iTunes. The best part about this is that after reading a couple of cherry reviews, you’ll start to see patterns and themes. This is SUPER valuable information for a compelling description. Blog reviews of the book: There are professional reviewers who do amazing jobs of describing these books. So, why reinvent the wheel? Check out what they say and write down anything that catches your attention. Once I had a plan for creating an excellent book description, and an idea of what others were saying about the book, it was time to start writing. In the year A.D. 3000, Earth is a barren wasteland, plundered of its natural resources by the millennium-long regime of taloned, gas-breathing, nine-foot alien conquerors from the planet Psychlo. Fewer than thirty-five thousand humans survive in a handful of communities scattered across the face of a post-apocalyptic Earth. From a desolate village, in the Rocky Mountains near what once was Denver, Colorado, a courageous young man named Jonnie Goodboy Tyler embarks on a hero’s journey to challenge the fearful myths of his people. Enslaved by the sadistic Terl, the Psychlo Security Chief of Earth, Jonnie and a small band of survivors pit their quest for freedom against Terl’s ruthless ambition for personal wealth and power in a rebellion that erupts across the continents of Earth and the cosmic sprawl of the Psychlo empire, with the fate of the world, of mankind and of the galaxies beyond, in the balance. 1. It gave away too much information and lavished in details – this is a sales page book description, not a book report. 2. This description makes it sound like the book is more about Jonnie and Terl fighting against each other. As a reader, however, I know it’s about more. There is much more at stake, and the focus on and description of Terl is a little too drawn out. 3. The sentences ran on and weren’t engaging enough. Spreading the seeds of revolt, Jonnie and a small band of survivors pit their quest for freedom in an all-out rebellion that erupts across the continents of Earth and the cosmic sprawl of the Psychlo empire. Now the question was: Did I really write a better book description? As you guys know, I don’t like to make decisions by guessing. That’s why I used PickFu to get real feedback. PickFu is a service that will conduct surveys to help you test just about anything, such as your book covers, book descriptions, and even website designs. In this case, I tested the two book descriptions in front of 100 people who were between the ages of 24-36 and are listed as avid fiction readers. And the results proved my theory: My description was better received. 67% of people who took the survey chose mine, and you can see their comments and demographic breakdown here. But here is where I made a mistake. 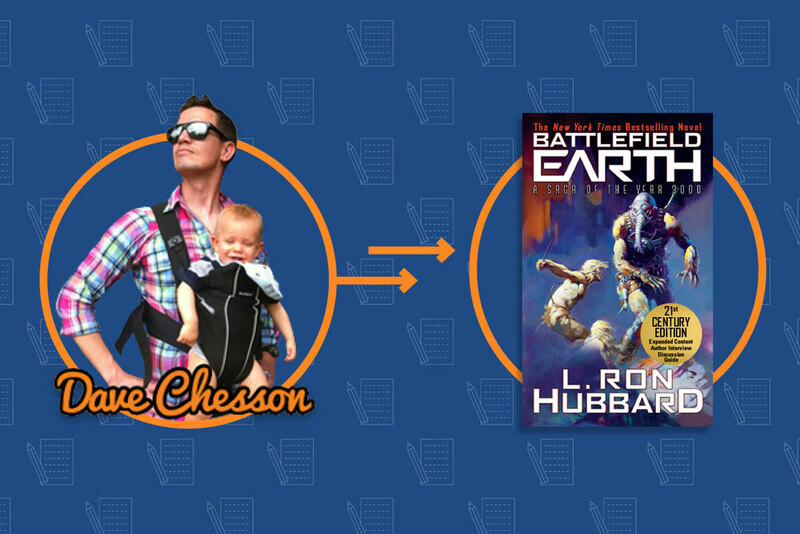 Which book description do you like better for the book Battlefield Earth? And as you can see from some of the comments, people took the survey reading into that question and chose the description they thought best described the book. Which book blurb would make you want to buy the book if you read it on an Amazon book sales page? This way, the question wasn’t about which better described the book; instead, the question would be about which description would make you want to buy and read the book. I have a feeling if I had phrased my question better, I would have had even better results. After you are sure you have a better book description, it’s time to make the description look good on Amazon. Placing the book description into Amazon, I made sure to highlight the best features, accolades, and other pertinent information by using my Amazon Book Description Generator. Check out the final product. Now doesn’t that look nice? Well, at least it’s better than just a large block of text. And that’s how I wrote the book description for a super famous book (that I happen to love). This uber nerd got to work on one of his favorite books and help so it will sell better.